Wastewater management services include collection, transfer, treatment and discharge of the wastewater in an environmentally accepted manner. Environmental conditions arising from inadequate or non-existing wastewater management pose significant threats to human health, well-being and economic activity. Wastewater management should consider the sustainable management of wastewater from source to re-entry into the environment. 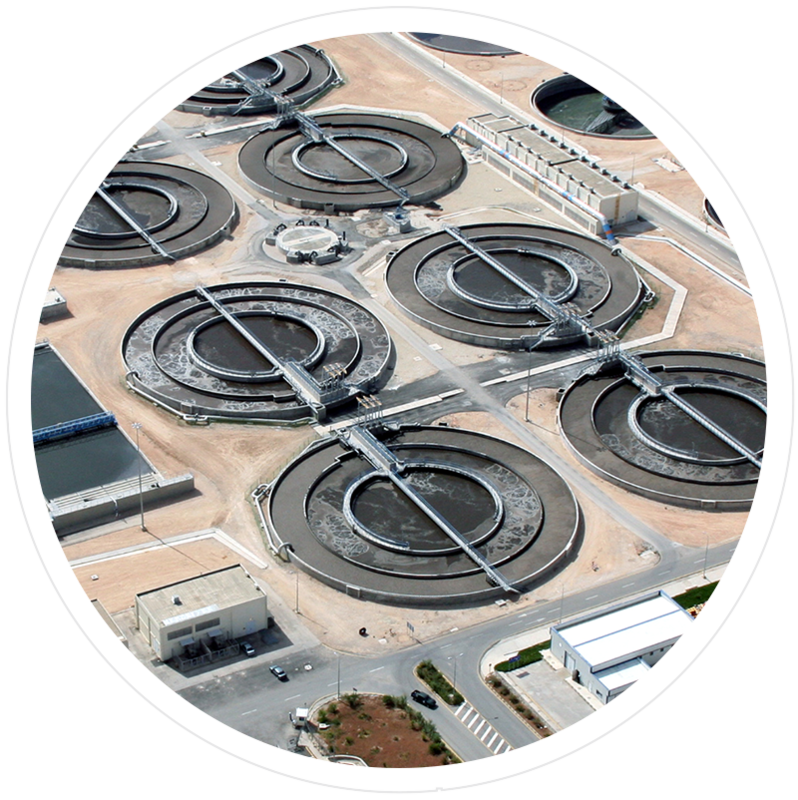 Orient’s engineers offer an impressive depth of experience and knowledge in wastewater collection and treatment infrastructure through providing a complete set of wastewater management services. Orient’s extensive capabilities provide customers with conceptual analysis, developing preliminary engineering design of collection networks and lift stations, developing hydraulic calculation sheets, preparing detailed design reports and drawings, preparing technical specifications and bill of quantities and tender documents. Also, Orient provides consultancy services to supervise construction and managing wastewater construction contracts. At Orient we have significant expertise in all facets of wastewater. Our experience encompasses sewer collection systems, sewer transmission systems including pumping stations, advanced wastewater treatment facilities, sludge management and water reuse. In summary, Orient’s capabilities and experience serve clients by simplifying operations, improving environmental compliance and increasing accountability while minimizing costs. These attributes have helped Orient to develop an excellent reputation with customers and regulatory authorities alike.